The Libertarian candidate for governor says it’s unlikely he will win, but with nearly three dozen other LIbertarians running in Iowa in 2018, this election hopefully will be a party-building exercise. There are about 11,000 Iowans who are registered Libertarian voters today and Jake Porter hopes to push that past 20,000 by November. 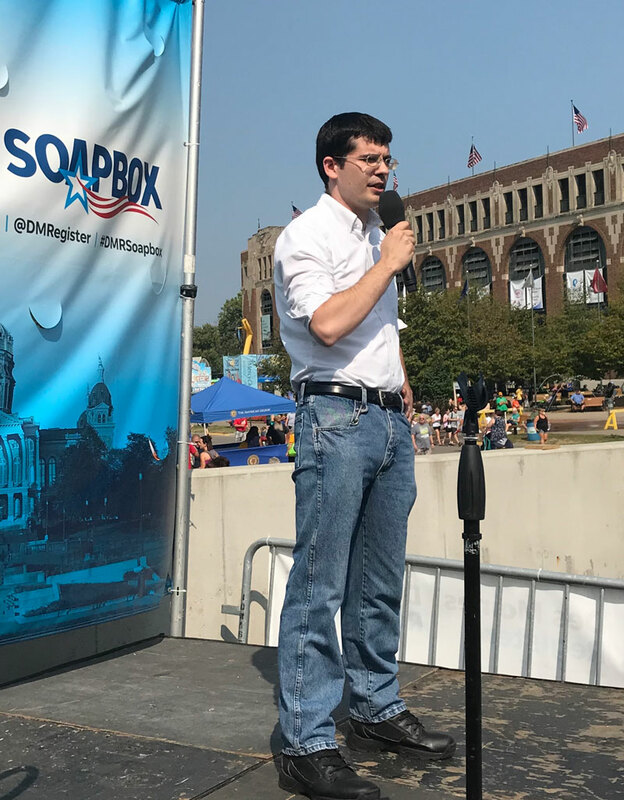 Porter spoke this morning on The Des Moines Register’s Soapbox at the Iowa State Fair. Porter used a barnyard term to describe the 2018 campaign conversations among Democrats and Republicans. 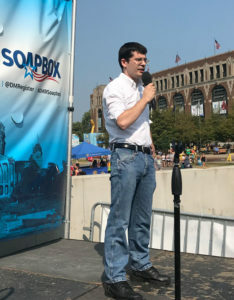 Porter singled out Governor Kim Reynolds and her fellow Republicans for charactering her Democratic opponent, Fred Hubbell, as “Fancy Fred” because he’s wealthy. Porter is a business consultant from Council Bluffs. He vows to evaluate every state agency, with the goal of consolidating, eliminating and making activities in state government more efficient.